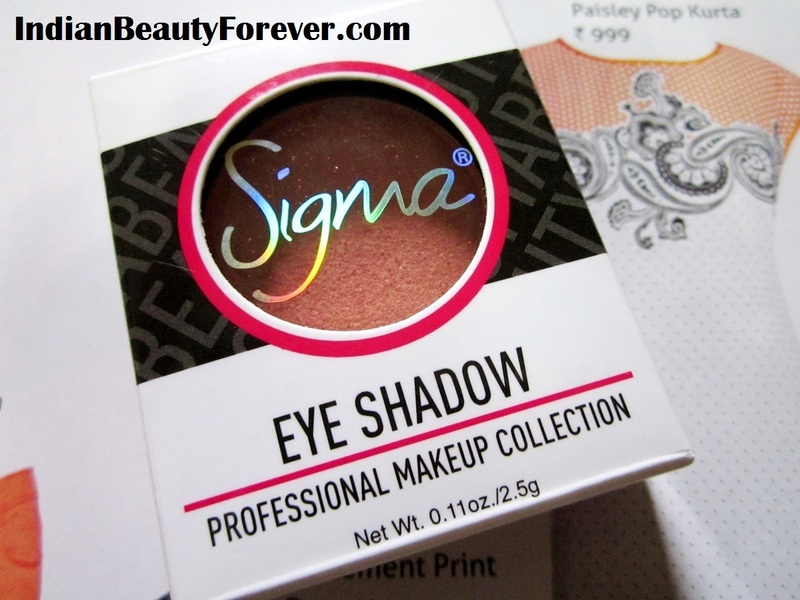 Let’s come back to this pretty eyeshadow here from Sigma then. 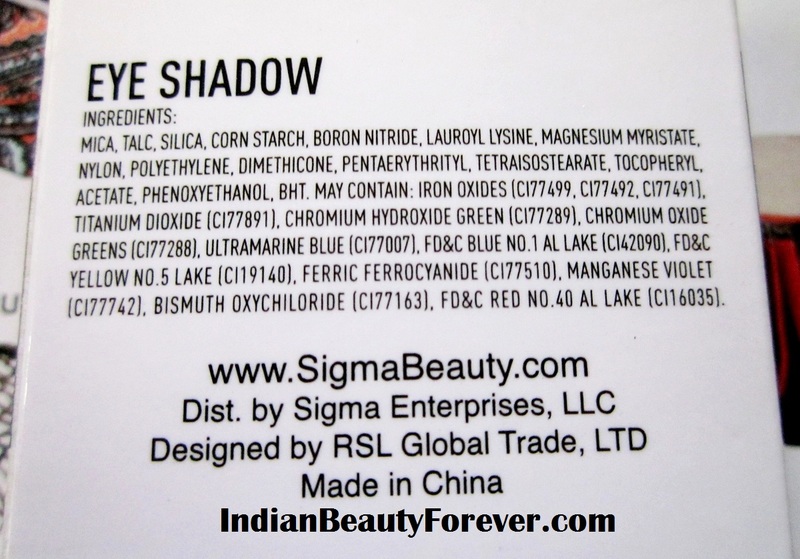 These Sigma single eye shadows are for $11 (around 550 INR) excluding the shipping charges. About the product: The Sigma Beauty Individual Eye Shadow Collection features a versatile assortment of shades and finishes from our best-selling eye shadow palettes. 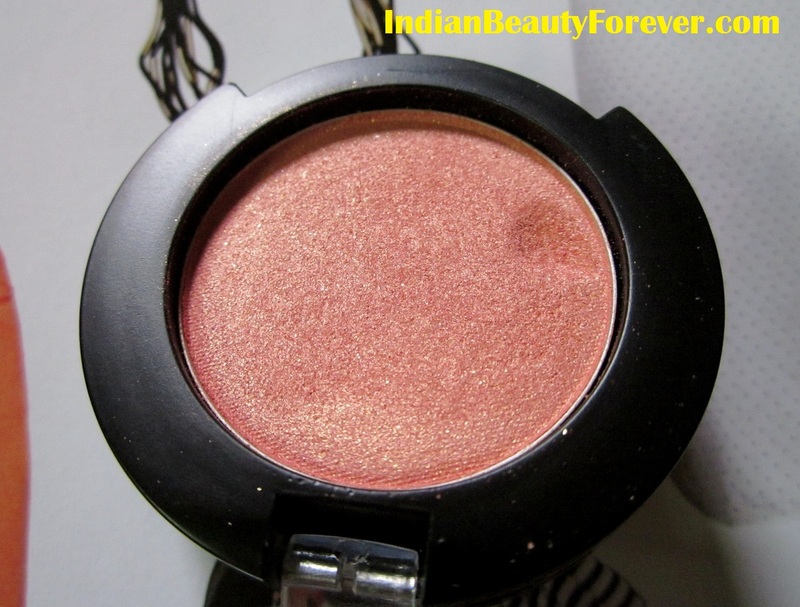 Each eye shadow has a rich pigmentation, long-lasting wear and is paraben-free. Mix and match your favorite colors to create a customized collection. 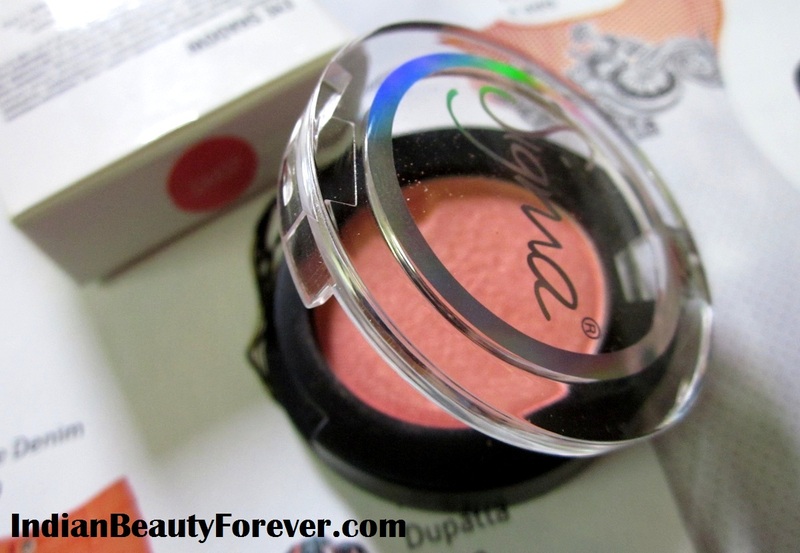 Experience: This Sigma eye shadow comes in a white outer case and inside there is this pretty round pot with a transparent flip top cap. It looks really cute and the letters in Sigma gives holographic colors whenever you tilt it towards light. Beautiful to look at!! It lacks a sponge tip applicator which anyways I don’t use. I find them rather difficult. It’s better to apply with my fingers! What you think? Actually applying with my finger gives better pigmentation for the lid color rather than using a brush. Just look at the color how pretty it is. However, I think as this color is very light, on medium to fair skin tone it doesn’t show up much though still it can be a decent every day types lid color. It will definitely make would lids shine due to its reflective gold shimmers. I find this color to be a great highlighter or an everyday lid color. On the box full list of ingredients is mentioned. I forgot to mention it earlier. While using this, I experienced some fall outs as though it has a satiny. Pigmentation is good and buildable. I have used it only 2 times and staying power is pretty decent with the primers of course as they are in the powder form so when you use such eye shadows without any primers underneath then they tend to fade or wiped off. Hence primers.. Thank you!! You make our shadows last longer! All the ingredients mentioned on the pack. Very pretty and classy packaging. Beautiful everyday kinda shimmery peachy color. Staying power is decent and primers can enhance that further. My take: I find the color, pigmentation, staying power to be good and very good but the price is high with shipping of course. So, it totally depends on you whether you wish to shell out that much on these single shadows or not! Not to forget their wide variety of individual eye shadows. What a beautiful shade.. i just loved it.. is the shade suitable yo be used as a blush or highlighter?? Thank you Poonam. :) I haven't used it but thinking of doing that! Which one did yo get tanu? Yeah they are good :)but pricey for singles! 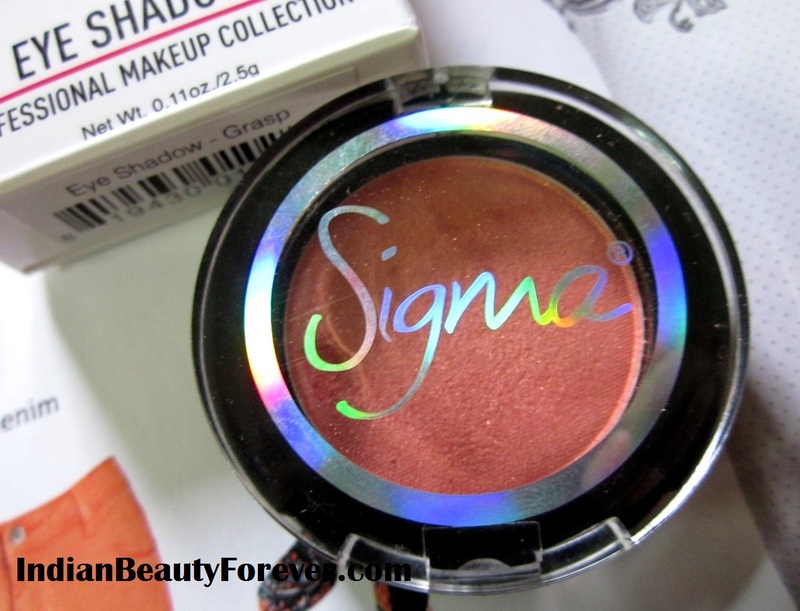 This shade is similar to one incolor blush I have.. yes sigma is expensive :/ i like neutral shades like these.. good review Niesha.. Thank you Nats. 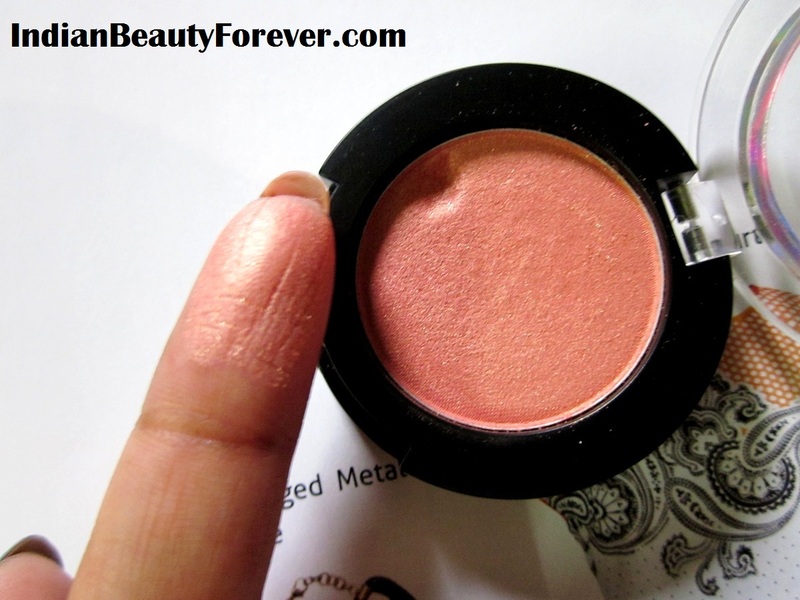 :) It's a pretty peachy shade so, it always reminds me of a blush and even I saw something similar in Incolor! 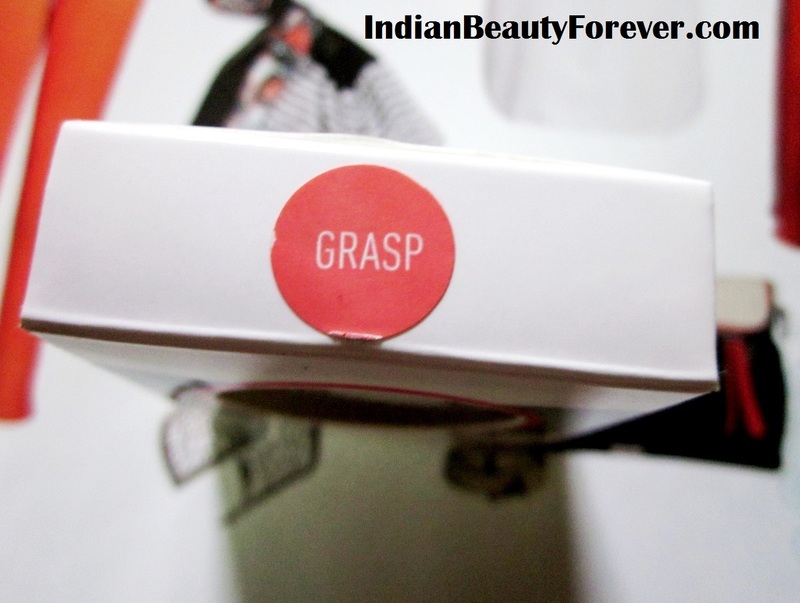 Very pretty shade ... :) and price for shipping is the prob..
Thats right Gowme! shipping charges hurt! :) else I really wanted to try their brushes! True Dolon! for individuals it is expensive and the shipping. I know you might be busy as you didn't post anything except PRs, was about to msg you! Aww dear, I will update it then! In their resort palette, they named it Papaya. Gorgeous color Niesha! And a great review...Loved the pics...kinda reminds me of MAC's springsheen..Is it anything like that? Thank you Richa! I have seen springsheen and it is pretty similar to that! I agree karishma, it is expensive for monos! Even I like quads or more than that! I think a lot about my blog too. Sometimes I wonder if I should stop blogging and get my life back! Haha. exactly that is what I think sometimes when I realize that I have been involved too much!! It's really beautiful! I think that's called sun glow, faces mono eye shadows. Looks similar to this!